Each Caffeine Bullet has the same caffeine as a strong cup of coffee and is packed with electrolytes. 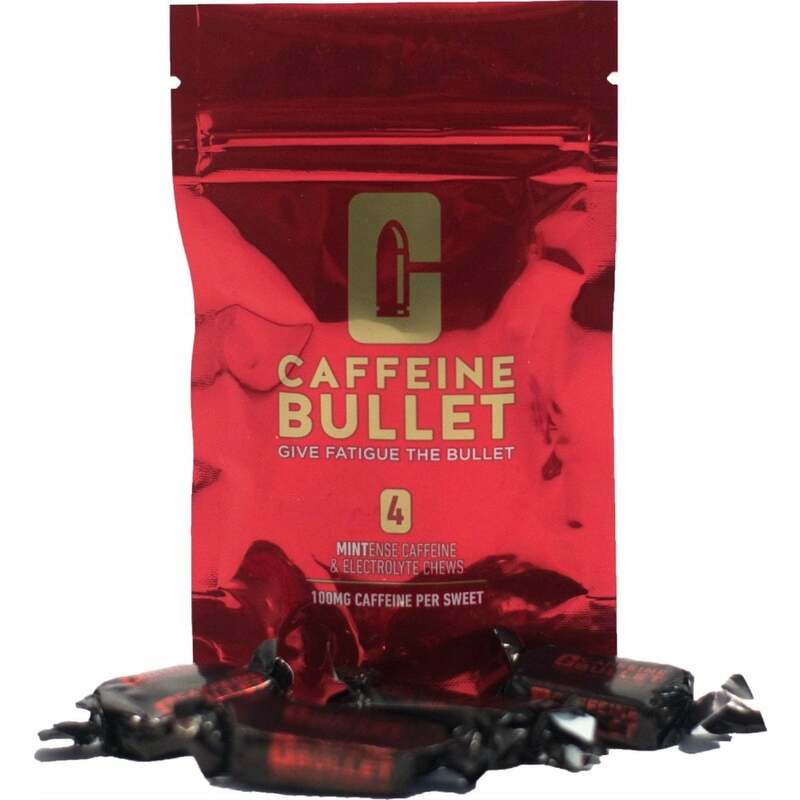 So, whether you are trying to beat a personal best or a tight deadline, caffeine bullet increases your endurance and mental alertness. Glucose Syrup, Sugar, Water, Vegetable Oil (palm kernel oil, palm stearin oil), electrolytes, caffeine, egg white powder, spearmint oil. This chewy sweet packs a punch! The intense mint and coffee flavour is somewhat refreshing when on a long run and the boost that comes with it is always welcomed. We have used these in several races/training and would recommend when feeling particularly tired.